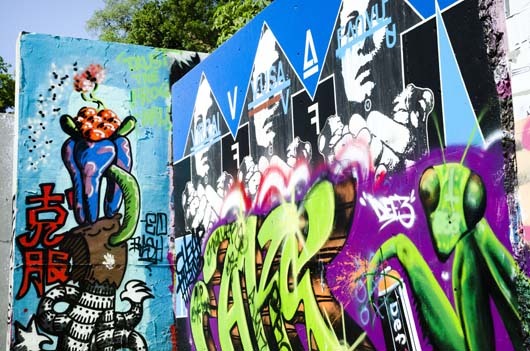 HOPE Outdoor Gallery is an outdoor graffiti mural gallery in downtown Austin, Texas aimed at building community through art. 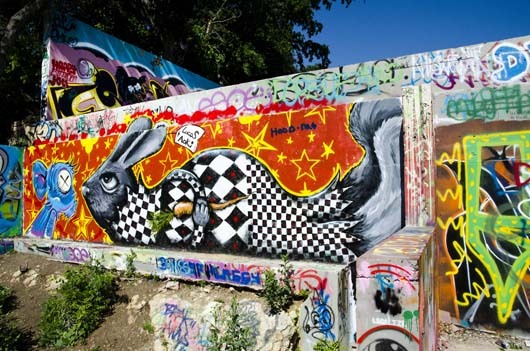 I took these images to accompany an article that I wrote for Austin.com titled “Graffiti for Hope.” Taken with a Nikon D7000 camera and accompanying 16-85mm f/3.5-5.6 lens. I took these photos to accompany an Austin.com article about haunted locations in Austin, TX called “Haunted Austin: 5 Places Where You Might See a Ghost.” Me and my two companions were most creeped out as I shot the Littlefield House and the Austin Pizza Garden. The photos are much sharper at full size. Click each image to enlarge. I took all of these shots as long exposures with a Nikon D7000 and 18-55mm f/3.5-5.6 lens. 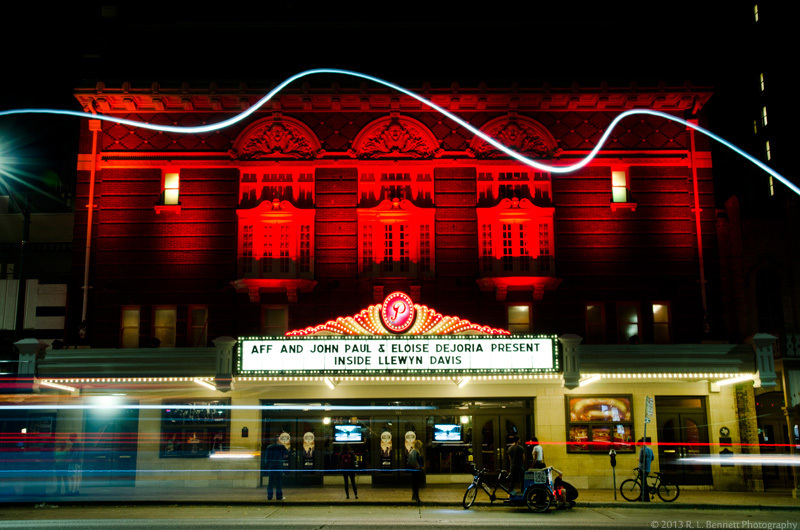 The Paramount Theatre on Congress Ave in Austin, TX. The theatre is supposedly haunted by the ghost of Walter Norris, the beloved projectionist who died during a showing of Casablanca. As long as employees bribe Walter with candy bars and chocolate donuts, equipment in the projectionist’s booth runs smoothly. 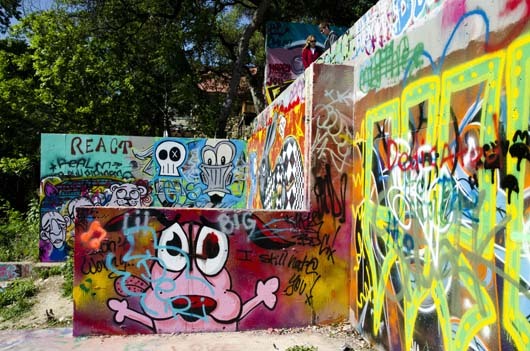 The Littlefield House on W 24th and Whitis Ave at the University of Texas in Austin, TX. The house is supposedly haunted by the George Littlefield’s wife, Alice, whom he kept locked in the attic. Apparently, Alice can be seen pacing around the attic and staring out of its windows. UT Tower at the University of Texas in Austin, TX. 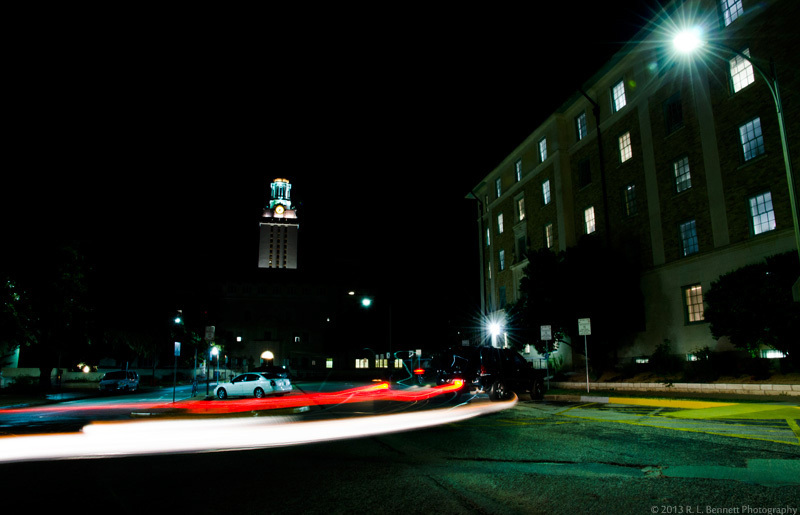 The tower is supposedly haunted by the ghost of the construction worker who slipped from one of the upper stories and fell to his death, by the ghosts of the nine students who have committed suicide since the tower was constructed, and by the ghost of Charles Whitman, the student and ex-Marine responsible for the 1966 shooting massacre at UT. 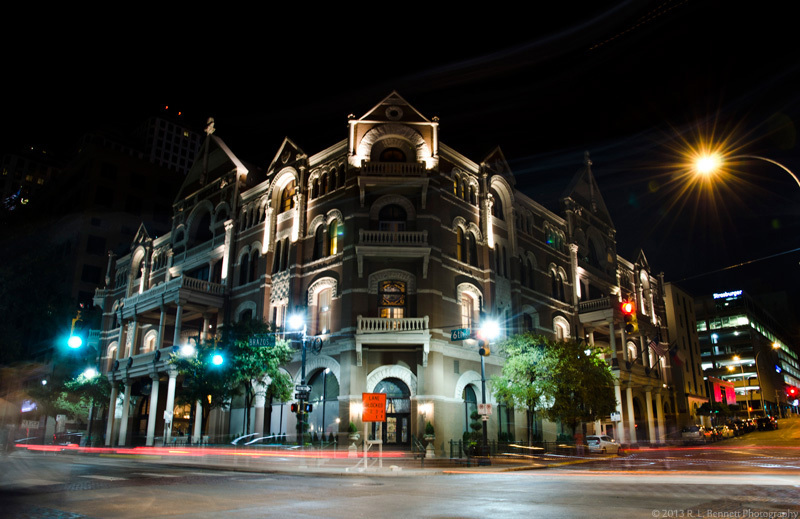 The Driskill Hotel on 6th Street in Austin, TX. 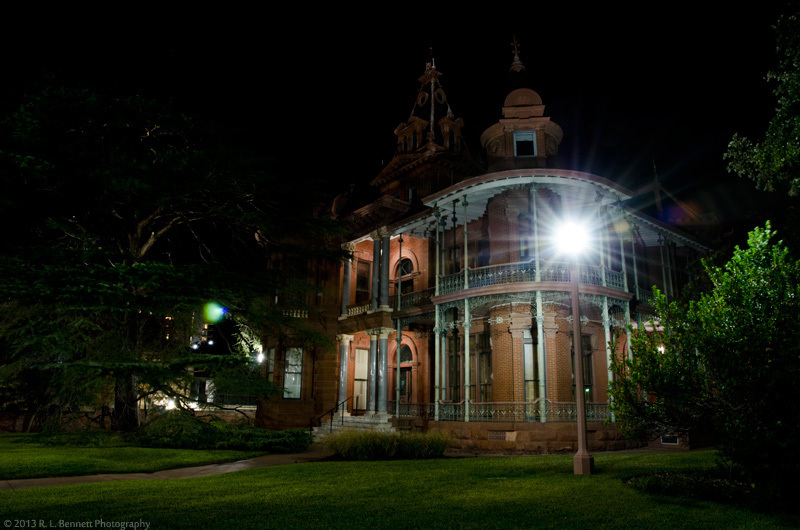 The hotel is supposedly haunted by owner Colonel Driskill, a little girl who died on the stairs, three “suicide brides,” a Depression-era manager, a Victorian-era clerk, a railroad ticket salesman, and an old security guard. The hotel also contains two haunted mirrors. 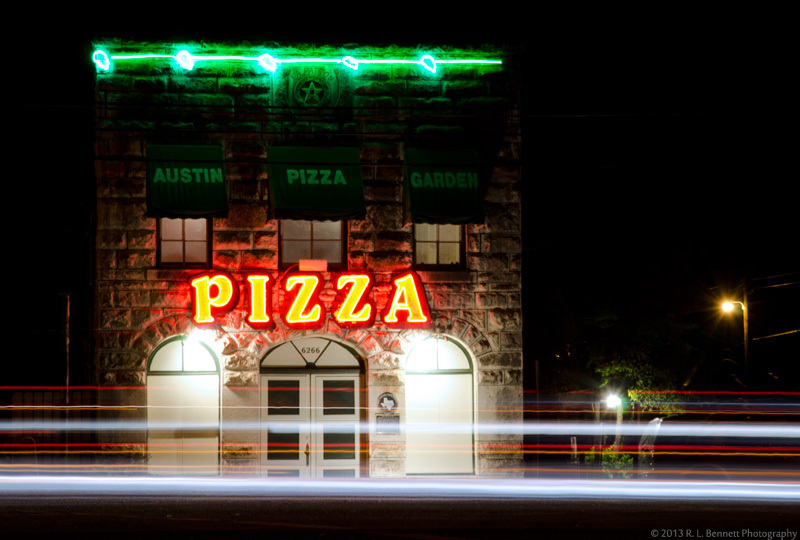 The Austin Pizza Garden on Hwy 290 in Austin, TX. The restaurant is supposedly haunted by a mischievous poltergeist who locks doors, throws silverware, scoots chairs across the floor, talks to guests but disappears mid-conversation, stomps around the second floor, and afflicts people with nausea, among other things. 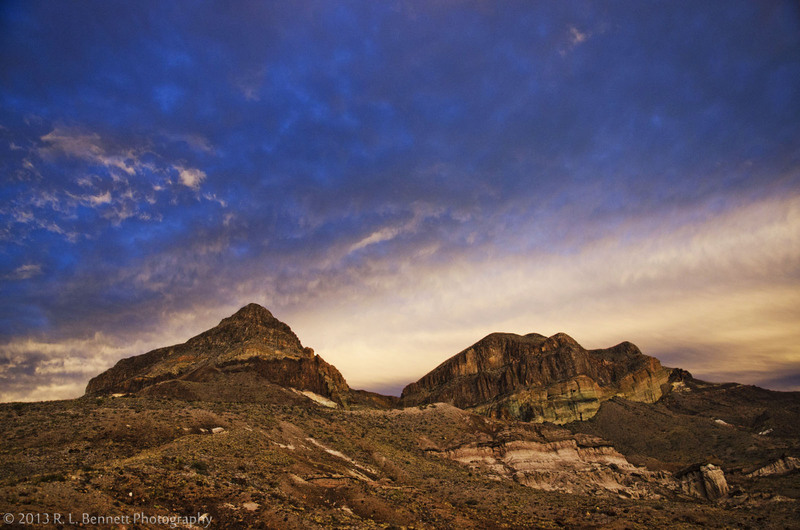 All throughout Big Bend National Park, bands of different-colored rocks give the mountains a painted look. At sunset, the sky and the mountains and the desert floor all explode with vibrant colors, and it seems like you’ve stepped straight into the canvas into another world. Taken on January 11, 2013 with a Nikon D7000 and 18-55mm f3.5-5.6 Nikkor lens. Click image to enlarge. Sunsets really do set the Chisos Mountains ablaze at Big Bend National Park. 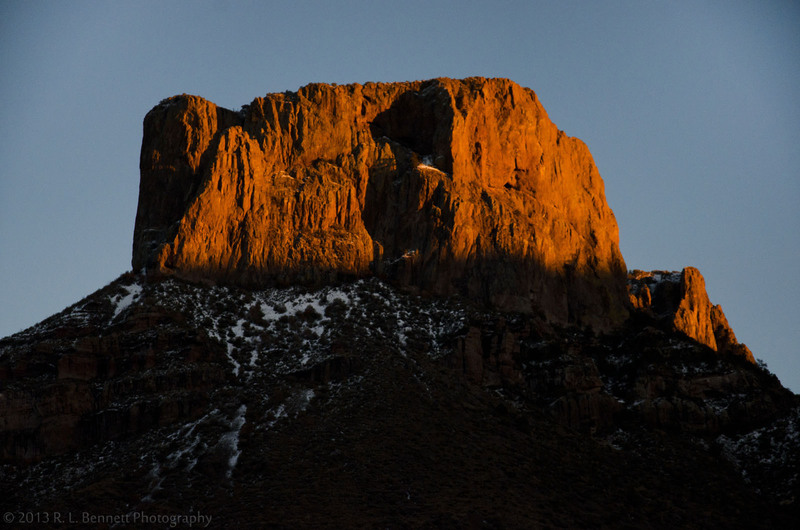 This particular peak is named Casa Grande; due to its majestic prominence in the Chisos Basin valley, Casa Grande has become something of a poster child for the park. 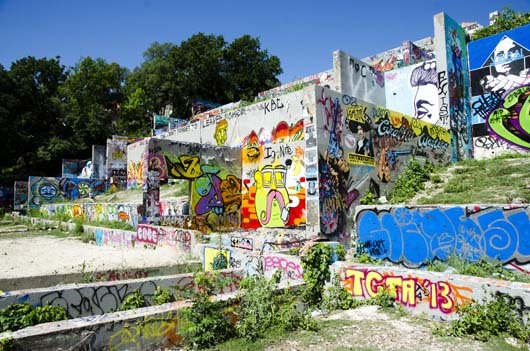 Dream on, hikers and rock climbers – park rangers adamantly deny access to the peak, since human presence tears up the fragile rock that gives Casa its character. Taken on January 10, 2013 with a Nikon D7000 and 18-55mm f3.5-5.6 Nikkor lens. Click image to enlarge. 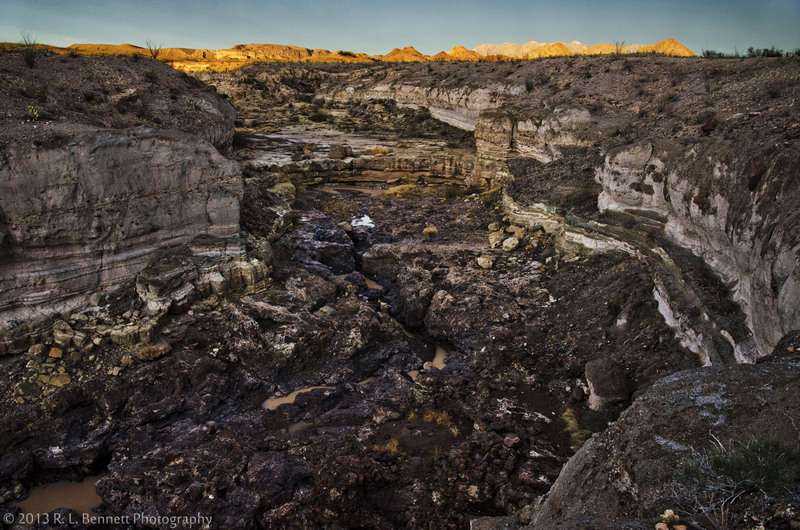 Composed of many different types of volcanic rock, Big Bend National Park’s Tuff Canyon is a geologic wonder. My companion and I climbed through the canyon a good distance before we began to lose daylight. To save time getting back to our vehicle, we scaled one of the canyon walls. Three quarters of the way up, I couldn’t help taking a shot of the breathtaking view below us. Taken with a Nikon D7000 and 18-55mm f3.5-5.6 Nikkor lens. Click image to enlarge. 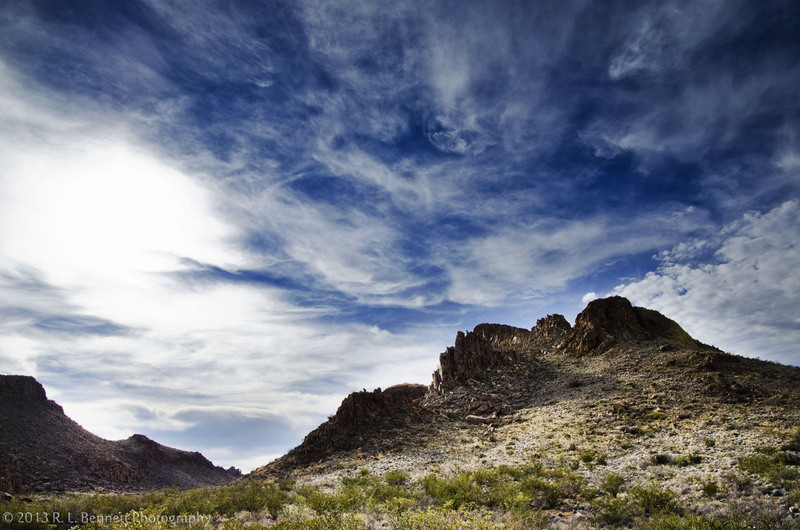 During my Grapevine Hills hike at Big Bend National Park, the clouds were varied and remarkable. Click here for a more detailed description of the hike. 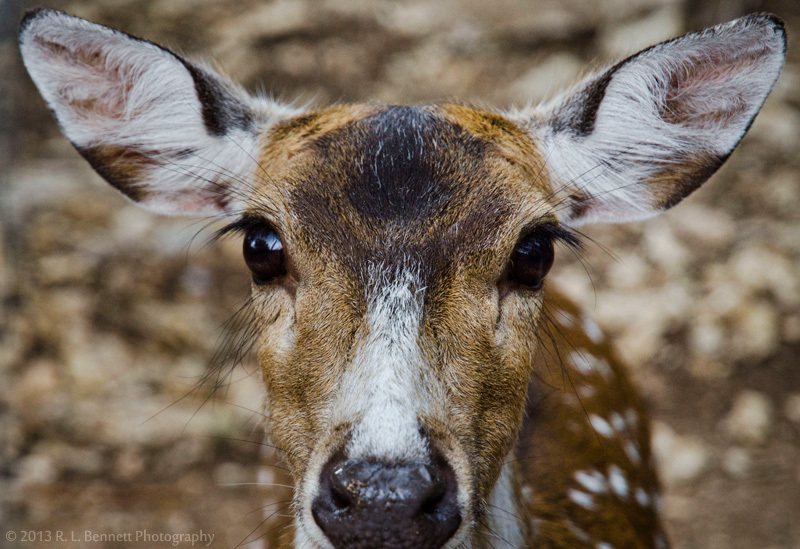 Both photos were taken near the trailhead on January 10, 2013 with a Nikon D7000 and 18-55mm f3.5-5.6 Nikkor lens. Click image to enlarge. 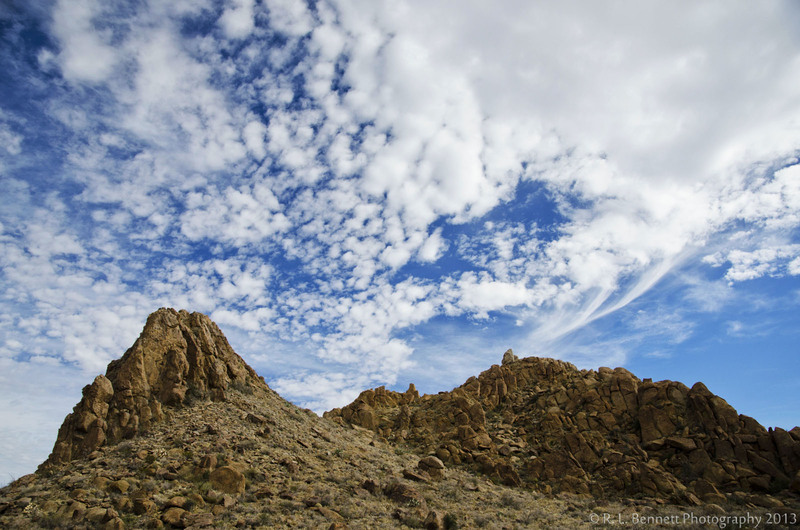 Grapevine Hills, a valley of boulders and monoliths. 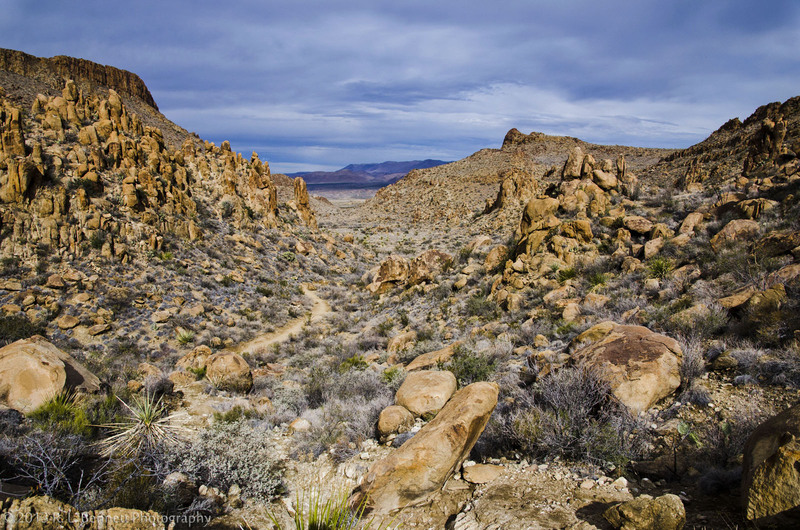 While the main attraction of this 2.2-mile hike at Big Bend National Park is an enormous rock window affectionately known as “Balanced Rock,” the view back towards the trailhead and down into the boulder valley is just as impressive. As I weaved in and out of boulders, I mused about how easily a mountain lion could lay in wait for me behind one of the boulders, if it wanted to. Taken on January 10, 2013 with a Nikon D7000 and 18-55mm f3.5-5.6 Nikkor lens. Click image to enlarge. “Then shouldering their burdens, they set off, seeking a path that would bring them over the grey hills of the Emyn Muil, and down into the Land of the Shadow.” – J. R. R. Tolkien, The Lord of the Rings. 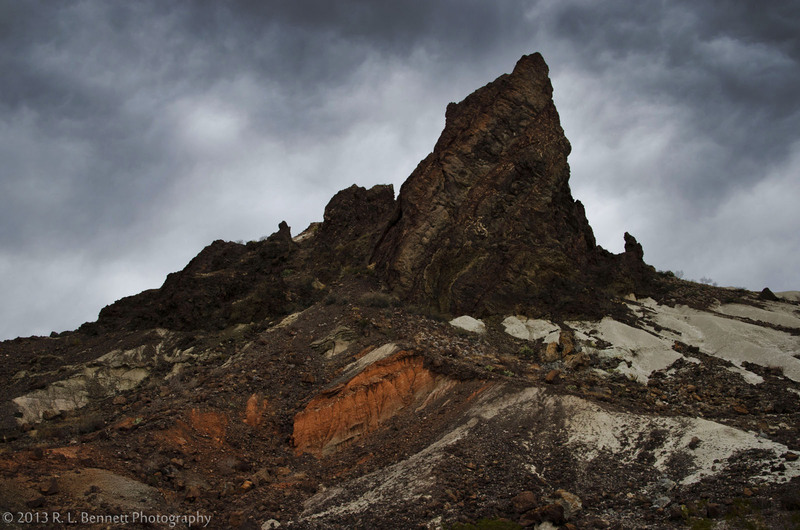 In some places, Big Bend National Park does look like Mordor; as a land birthed in volcanic activity, the result is a valley of stunning, jagged mountains, striped ruddy, white, and black. Taken January 11, 2013 with a Nikon D7000 and 18-55mm f3.5-5.6 Nikkor lens. Soft morning light illuminates the Upper Falls, a natural limestone- and cypress-lined swimming hole at McKinney Falls State Park in Austin, TX. 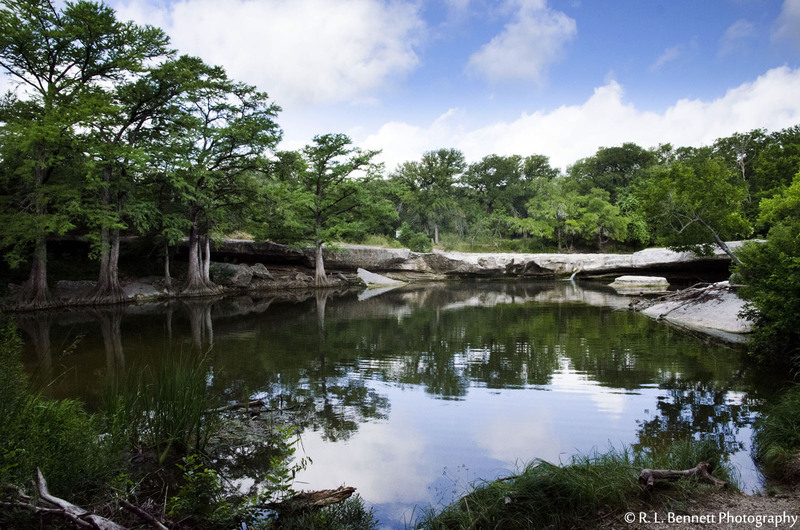 McKinney Falls is a hidden gem in Austin, providing 700 acres of wilderness just 15 minutes from the downtown hubbub. Usually crowded with park-goers, the Upper Falls is pristine and peaceful in the early morning. Taken on June 15, 2013 with a Nikon D7000 and 18-55mm f.3.5-5.6 Nikkor lens. Click photo to enlarge.